Okay, so over the years I've built up a lot of microUSB cables, and since the G5 I've switched over to C and that's meant a lot of switching cables and having spares. 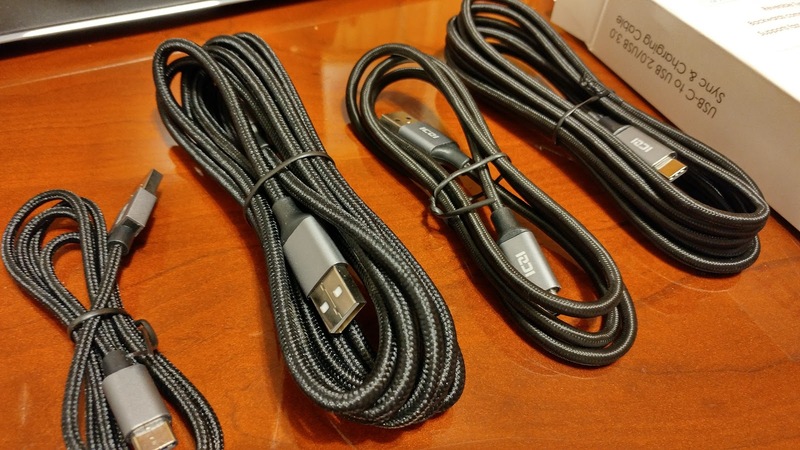 My wife just switched from her LG G4 to the Moto Z Play and she is noticing having to get the right cables, and we've been doing the adapter things as I've shown in the past, but the biggest drawback in those is that sometimes the quickcharge doesn't work and with a lesser quality cable it's not even getting 2A. It was especially noticeable when I switched from the Moto Z to the LG G5. Cables that would 'turbo charge' with the Z weren't doing 'fast charging' on the G5. Finding the right cable is important. And if you're like me and like to have many spares, and I've got a bag of microUSB cables to replace, you look for a good cable and a deal. ICZI to the rescue. They have a 4 pack of cables for $18 and it's compliant to get quickcharge. 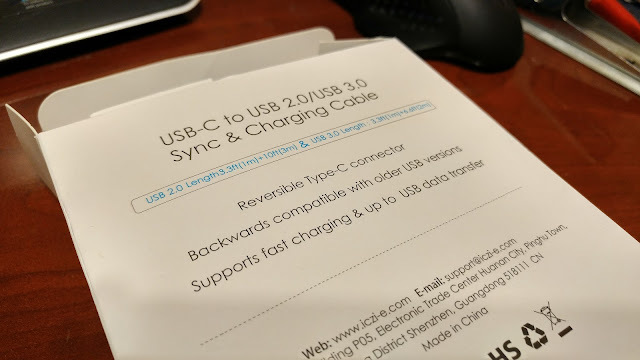 So the item from ICZI on Amazon runs $18 and you get 2 cables that are USB 2.0 and 2 that are USB 3.0. I couldn't tell which of the cables were which, except by length, but regardless, they all were compatible with QC2.0 with my finicky G5. It's the cable I'm trusting now. Not only is it compatible with fast charging, but it's a very, very durable cable, doesn't get snagged or curled up. Definitely worth the money in my mind.